Once you've reached around $1 MM in ARR and want to accelerate your growth, you need to think about how to scale your marketing team. But many companies are scared to do this, because adding the salaries of new marketers into your budget can cause your customer acquisition cost to skyrocket overnight. The strength of the marketing team in a growing SaaS company is invaluable—every marketing strategy shapes the way customers will perceive and eventually interact with your product. 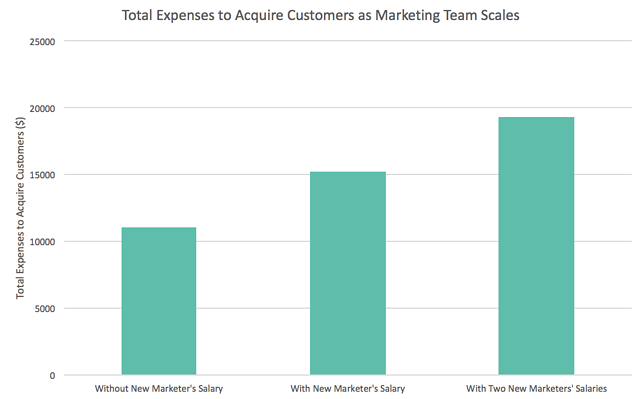 But the salaries of team members who work to acquire customers are a huge factor into your customer acquisition cost, which is why new marketing hires can be a hit to your CAC metrics. You need to reconcile the cost of scaling in order to make this investment in your company's future. Managing these new costs is all about maintaining balance, optimizing efficiency, and scaling up customer lifetime value so you can get the maximum return on this investment in your company. Tren Griffin, former startup team member and current Microsoft team member, says that a business owner who does not understand CAC is “the equivalent of a blindfolded poker player.” You can't make smart business decisions if you don't know the full unit cost of each customer. Calculating CAC is theoretically straightforward: divide the total expenses to acquire customers in a certain time period by the number of customers acquired during that period. But the miscalculations—and the fatal underestimations—of CAC happen when you don't account for all expenses to acquire customers. As you scale, the salaries of your marketing team members become prominent components of your CAC that you cannot forget to include. If you don't account for team members in your CAC, you won't really know how much it costs to acquire each customer and you won't be able to determine how to earn back those expenses. For example, if you assume conservatively that you'll spend $50,000 on an individual marketing team member's annual salary, that's an additional $4,166/month in total expenses to acquire customers. Hypothetically your other costs might total $11,000/month ($1,000 in paid advertising + $10,000 in marketing tools and software). Adding $4,166/month increases monthly CAC by over 37%. Adding two new marketers at that salary means over 75% increase in your monthly CAC, given these other monthly expenses. This increase shouldn't prevent you from scaling, because with a larger team you have more power to generate revenue. If your new hires own some of these processes and metrics, you can leverage the power of their addition to improve the quality of your marketing and, ultimately, increase your revenue. Your new hires should be involved in optimizing the efficiency of the marketing process and in making sure that customers retain and pay back their CAC. This ownership means your new hires have a chance to provide a positive ROI on their salaries. SaaS companies, and especially SaaS startups, need to obsess over efficiency. You want to make the most out of all your expenses: the spend on salary should go towards hiring the most qualified and most needed team members, and the rest of marketing spend should bring in the best potential customers. As CAC increases with the addition of salaries, the marketing team should work to offset other customer acquisition expenses. New hires can take action to optimize their marketing strategy and get the most bang for their marketing buck. Marketers should automate their outreach to potential customers or current customers by running drip campaigns. 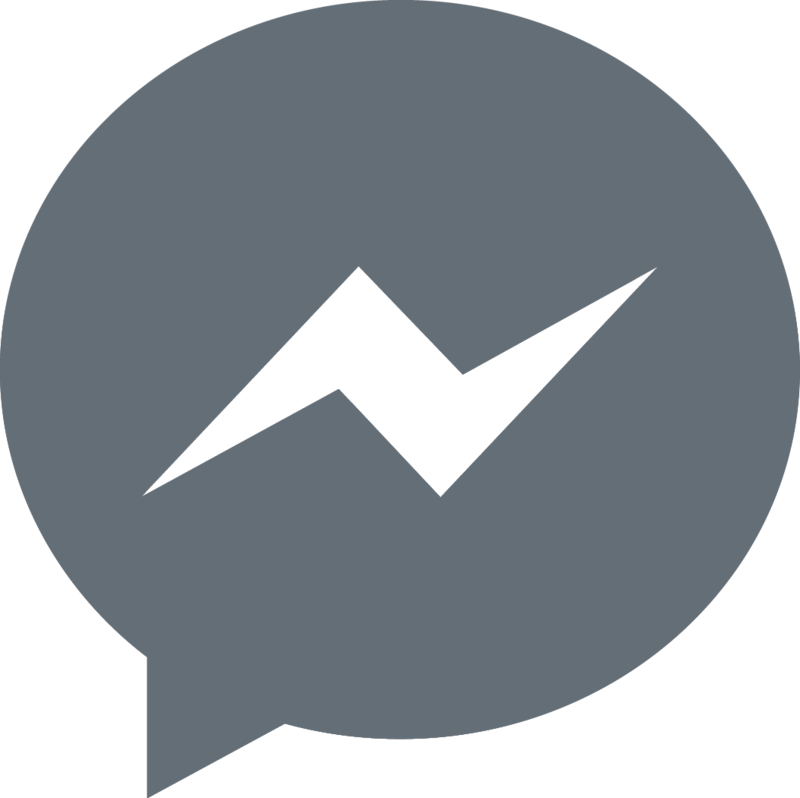 They can automate communication to reach more leads in less time with less effort. A tool like Customer.io can get you started with email marketing. Start by setting up a campaign with a light touch to provide a friendly nudge to potential customers. With the right cadence these messages won't be annoying to potential customers—they will be helpful and will nurture their considerations of your product. This could mean huge revenue increases if drip campaigns are maintained over long periods of time. Nail your product marketing with crystal clear copy and perfect explanations of the value propositions. Anyone reading the copy should be able to explain the high points of your product as if they were the founder. Product and service descriptions should also have clear directions to the pricing page so that movement through the funnel is smooth. If your marketers have created effective copy around the product's value, transitioning to the pricing page should be a no-brainer for a potential customer. Marketers can get the word out about your product and generate inbound leads by creating helpful content. Content should aim to educate and build a brand identity. It should address questions and concerns that your potential customers might have and share insights from your business journey. Written content could take the form of lists, anecdotes, how-to guides, and long-form blog posts. Visual content could take the form of infographics and slide decks. Your new marketers can oversee content creation and collaboration with freelancers or outside services. Your marketing team can also designate members to write or design the content themselves. Marketers should emphasize a wonderful experience with the product and the company. Though technically customer support team members might own the customer experience, your marketers can still encourage referrals and inspire confidence in the product. They can also build brand awareness by answering questions on forums, adding comments, and making the helpful presence of the company known. Viral growth is never a reliable pillar to lean on, but word-of-mouth referral is the next best thing. When customers believe in your product as much as your team does, they become secondary marketers. Secondary revenue through word-of-mouth from customers could actually double the LTV you're calculating from first-order revenue alone. More efficiency in marketing will produce better qualified leads—which will reduce the level of touch needed to convert customers. An optimal marketing strategy attracts customers that are so sure of the product's value that when they are considering, they require very little persuasion to clear the funnel and convert. A growing CAC is not a death sentence—what really matters is how your CAC compares to your customer LTV. You'll maintain profitability if your LTV:CAC ratio is 3:1. This means that if CAC gets larger, your LTV has to scale up by three times that amount. LTV has to increase at a rate 3x faster than CAC to maintain a 3:1 LTC:CAC ratio. For example, an increase from $400 to $500 in CAC means an increase from $1,200 to $1,500 in LTV. That's a $100 CAC increase that necessitates a $300 LTV increase. 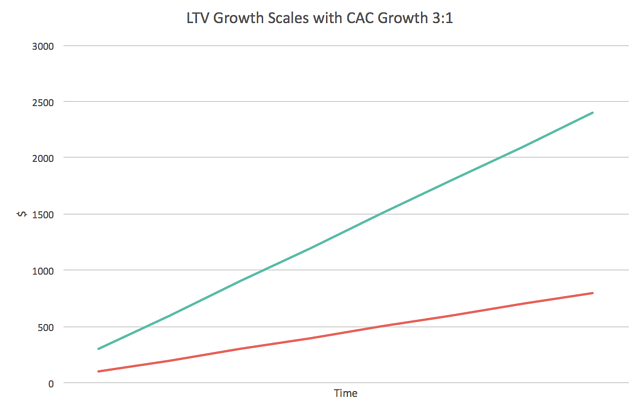 Growing CAC requires extra effort to make sure that LTV grows as well. This is an opportunity to scale up your company's revenue on the whole. Marketers should focus on properly monetizing new and existing customers to make sure that their hard work brings good returns. Your marketers should target different messages toward different types of customers. Different buyer personas will want to purchase your product for different reasons and are willing to pay different prices, so marketing messages should be different and specific to each type of buyer. Copy should offer value propositions that align with specific buyer personas' needs and should be distributed in channels that each buyer is most likely to use. For instance, casual users looking for introductory usage on a low-price plan might respond well to descriptions of your product's ease of use. They might be inbound leads that come in through quips on Twitter or blog posts on Medium. Enterprise-level customers might be more interested in descriptions of your product's advanced features and might respond well to personalized emails and conversations with sales representatives. As your marketing team works to guide customers to your pricing page, they should make sure that customers land in the right pricing tier. Tiers should scale up along your value metric and each tier should be targeted toward a particular buyer persona. Marketers should A/B test different tier systems to determine what is most effective. For instance, Salesforce A/B tested two different versions of a pricing page that had 4 and 5 tiers, respectively. It's important to test your pricing tiers because potential buyers' opinions of prices can be very skewed by the other choices. Pricing along a value metric allows for seamless up-sells as customers grow and require more of your product's core value. But your marketers should still work to encourage up-sells by keeping in constant communication with customers about what they are looking for and what your product offers. Marketers should always alert current customers about upcoming upgrades and new feature releases and communicate the value of these additions. They should also try to push contracts for larger customers. Contracts are not right in every situation because they do somewhat increase CAC by taking away the option to cancel and adding customer opportunity cost. 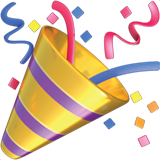 But a contract also ensures that a high-ACV customer doesn't cancel before they have a chance to payback their high CAC. Contracts can stretch and secure the lifetime value of an enterprise-level customer that feels comfortable committing to a longer-term agreement. If you grow your CAC, you must grow your LTV to survive. Your new hire's success in growing LTV will ensure a good ROI on the investment in growing your team and will spur revenue expansion. Growing your team is an exciting step and it means that you've already grown your business to initial traction and want to accelerate your scaling. Growing your marketing team is a powerful investment in shaping how customers come to your product. This is a determining factor in your company's future. You can't let an inevitable hike in your CAC stop you, but you can take steps to make sure your management positively affects the investment and your estimates for your returns are both positive and accurate. Be smart with your investments, and get excited about your returns.